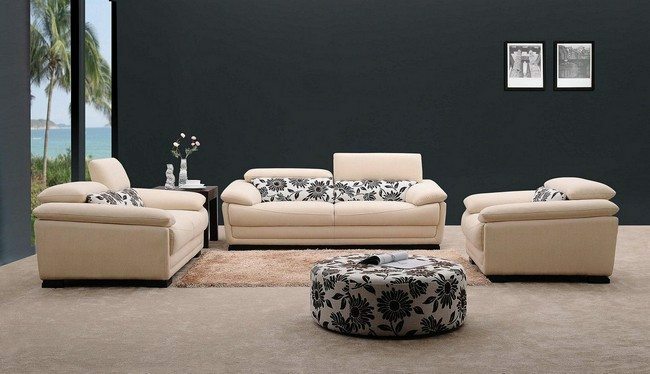 Upholstered furniture in textured patterns gives the room a chic and elegant look. 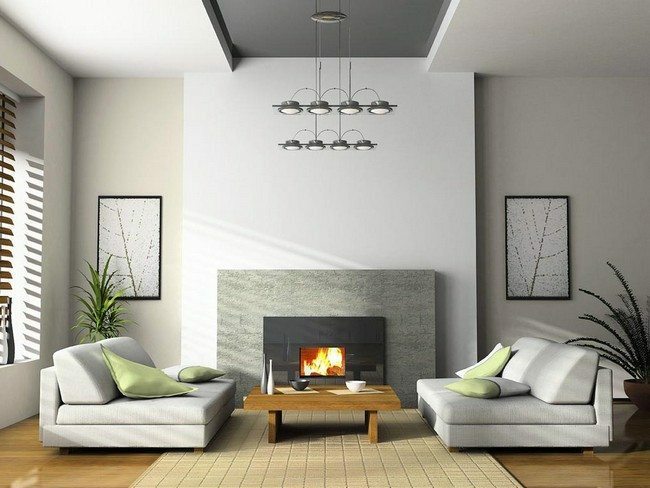 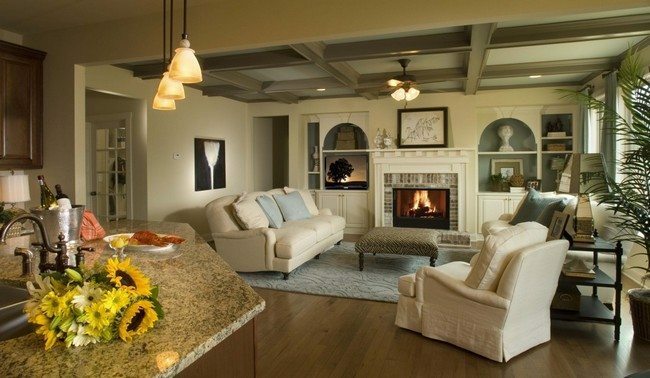 Fireplaces are a common trend in many living room designs. 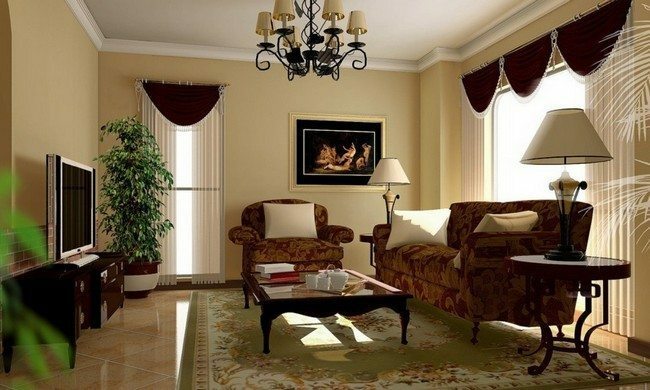 They give a ‘homely’ feel to the living room. 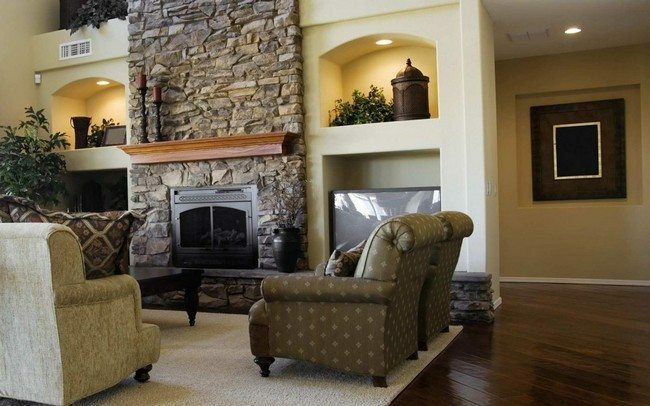 Mostly, they are usually in stone or brick. 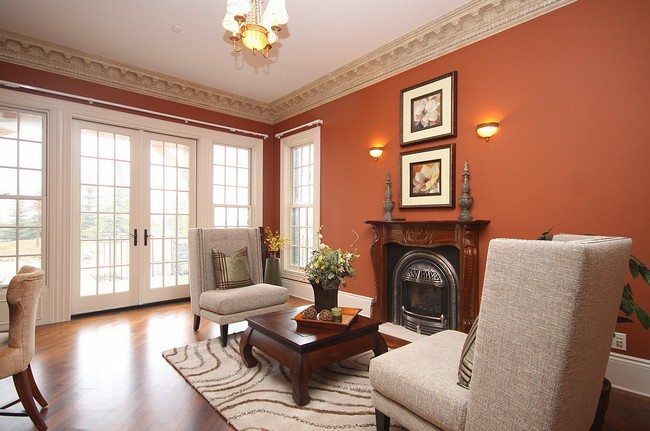 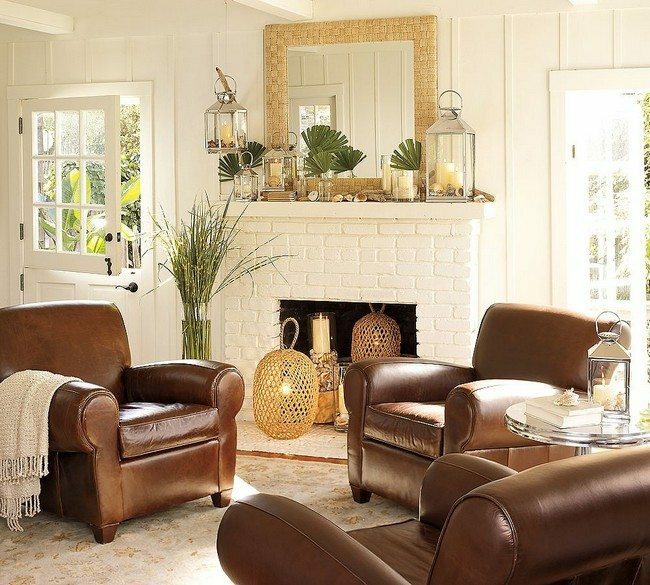 This brick fireplace has been painted white, giving it a new twist. 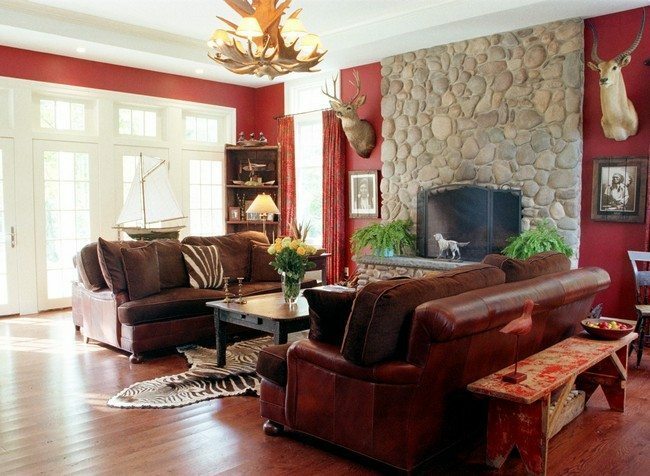 The simple wooden bookshelf creates a rustic appeal in this living room, creating a welcoming environment. 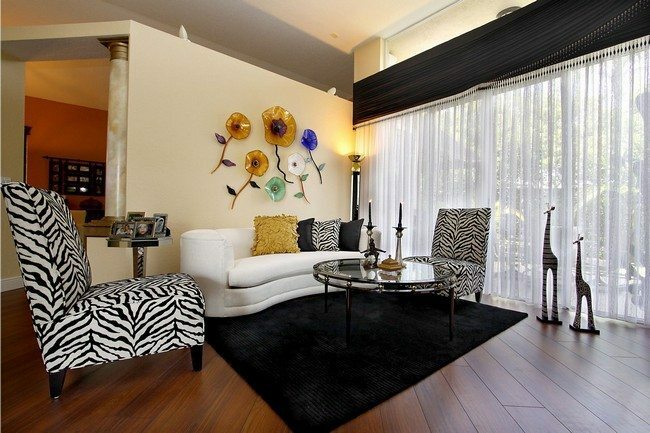 Living rooms can also be easily decorated by blending and mixing patterns and textures. 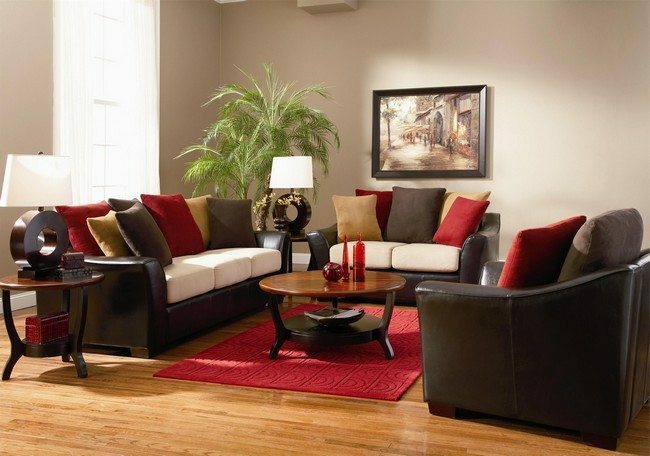 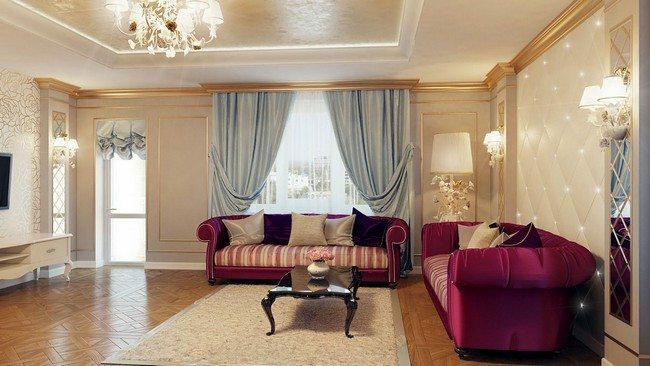 The look is usually endearing and attractive, especially when you stick to one color theme, for instance the red in this living room. 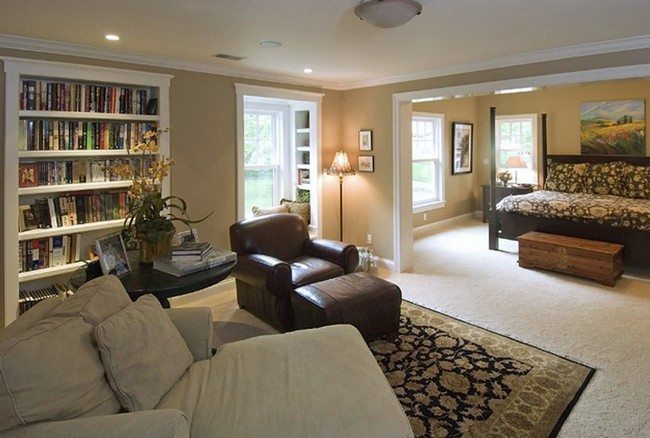 Bookshelves are a common aspect of many living room designs. 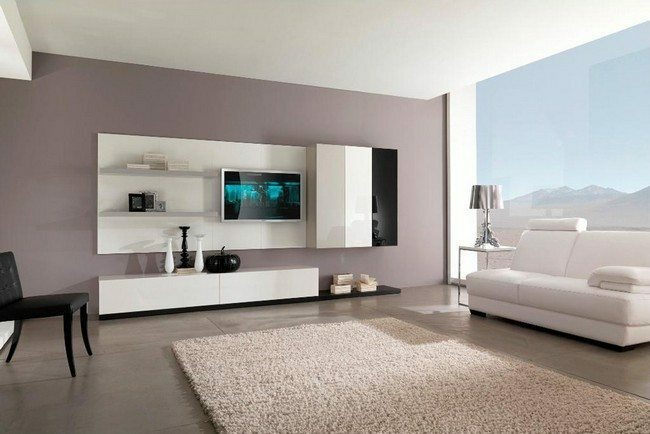 To spice up your living room, go for a bold bookshelf that easily stands out. 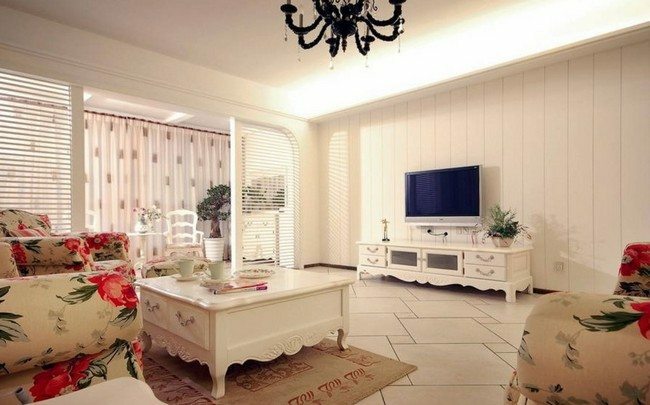 You can arrange the books in different styles to make the bookshelf look even better. 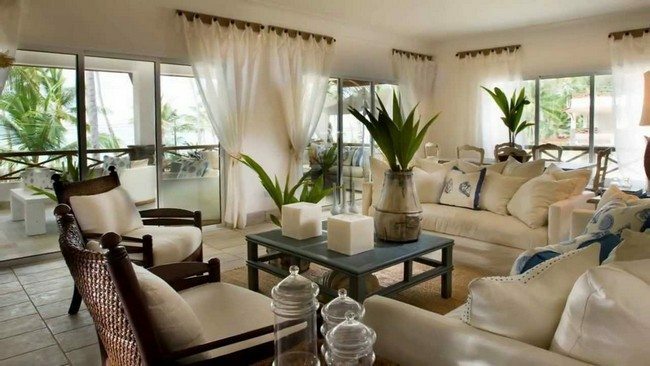 A minimalist living room can be decorating by adding a few patterned pieces such as throw pillows and pouffes. 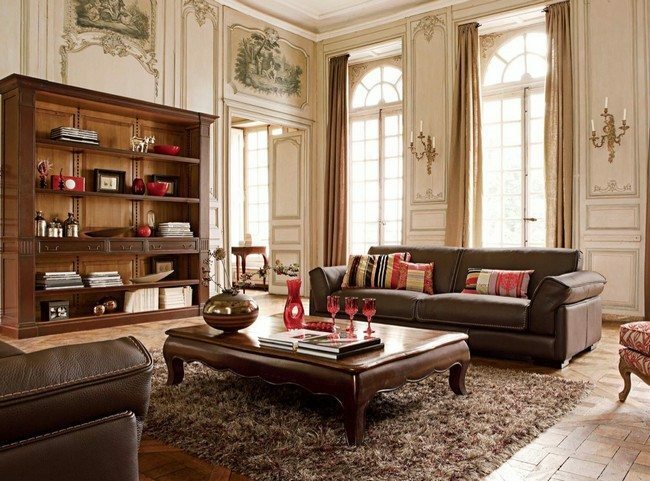 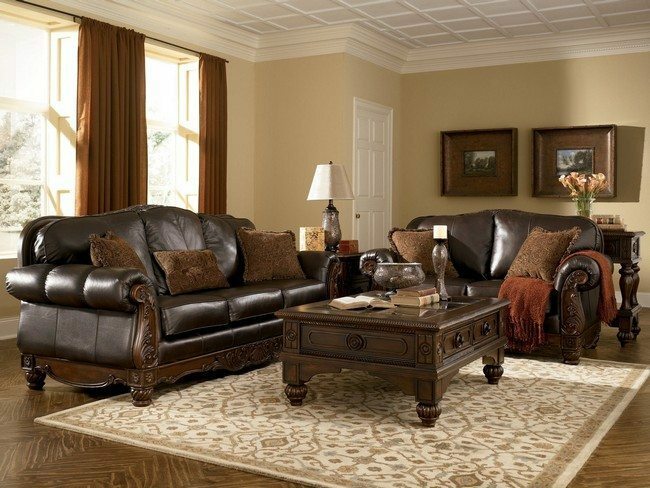 Leather seats are a timeless addition to living room designs. 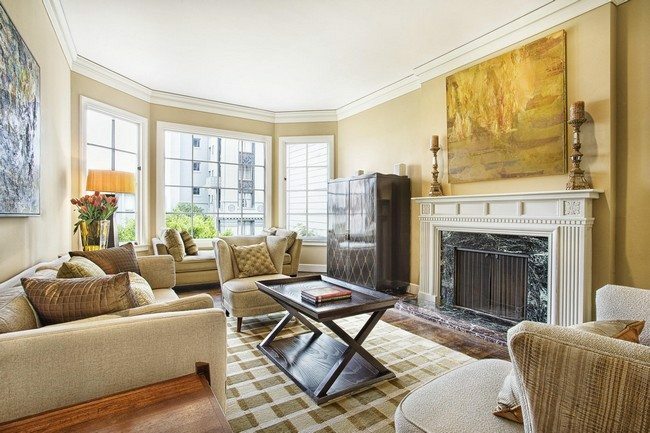 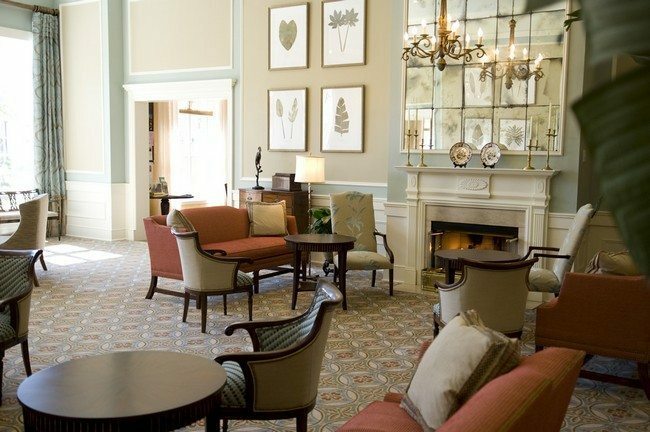 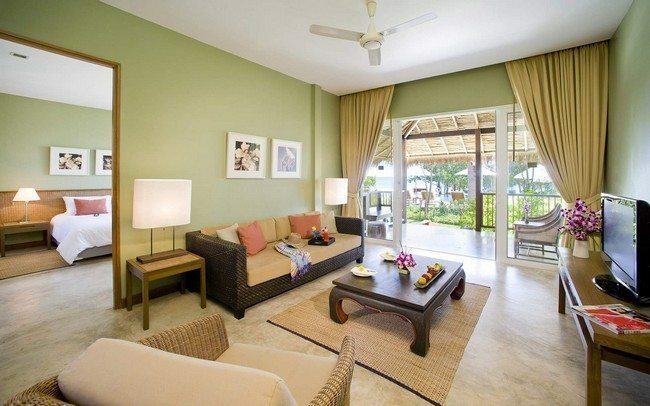 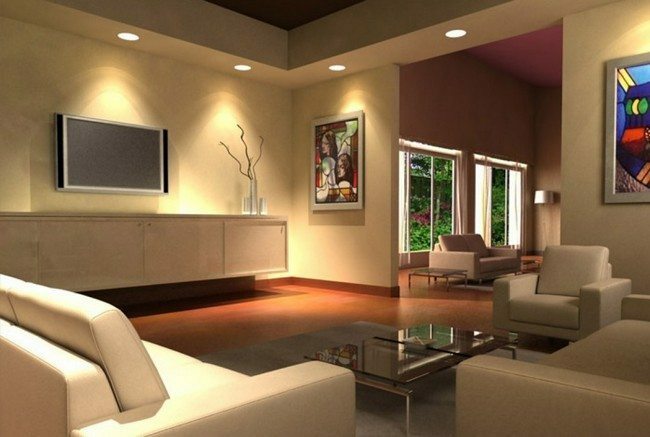 Art pieces and framed photographs can be displayed on walls to accessorize the living room. 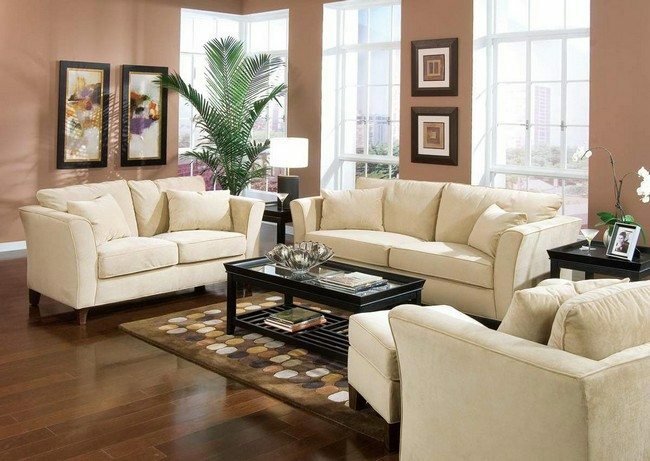 Décor in neutral colors gives the living room a delicate and welcoming appeal. 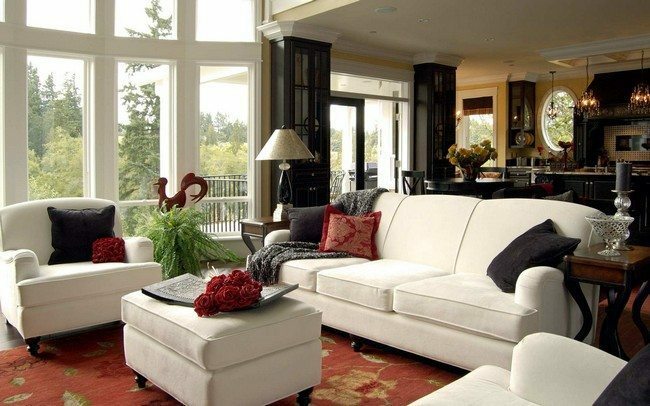 Large glass windows that offer a beautiful view of the outside make those in the living room feel closer to nature. 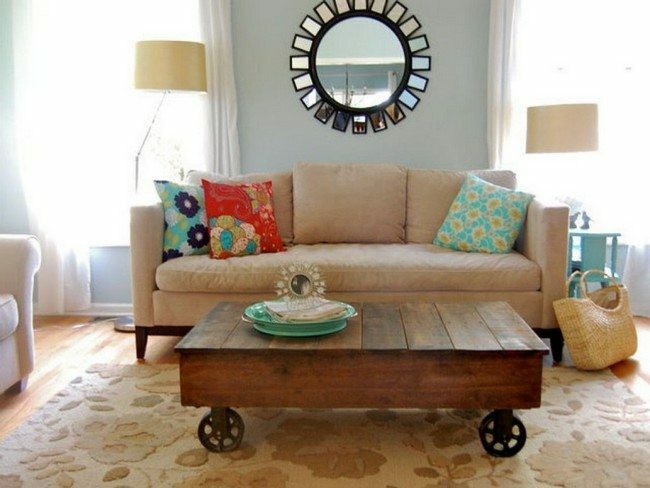 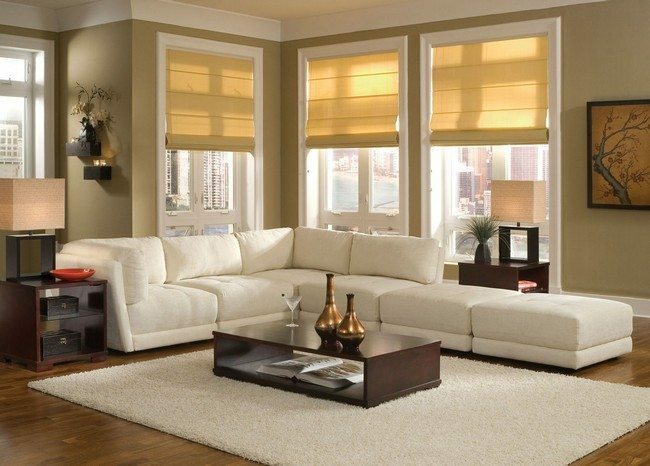 Bright accessories and décor can also transform the living room beautifully. 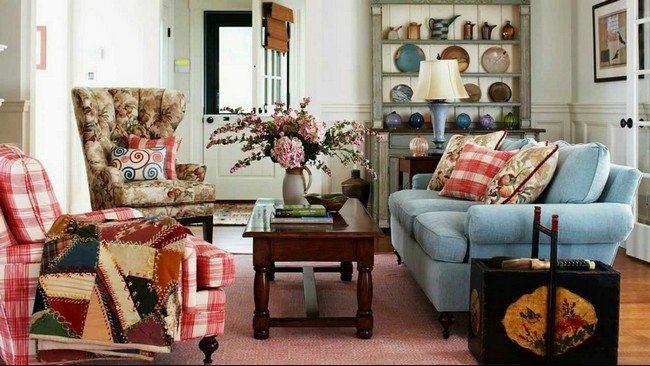 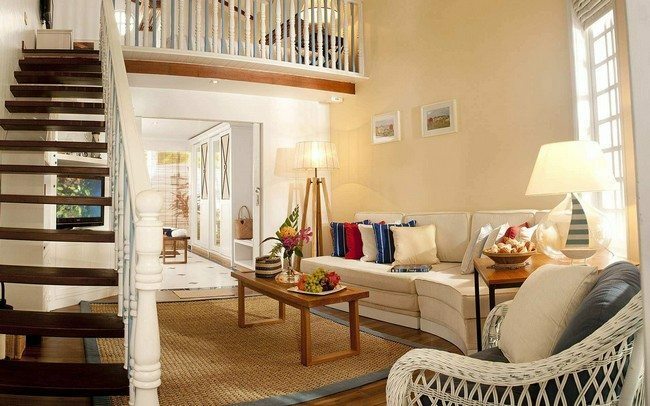 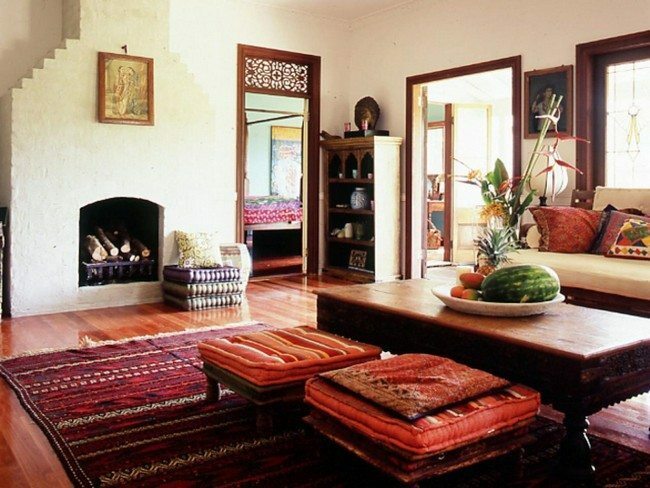 In this living room, bright flowers and throw pillows have been used to create a bright and lively home. 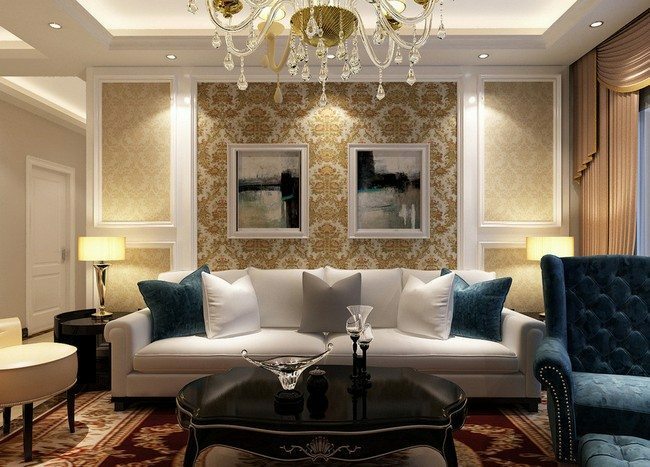 Gold-colored décor gives the room an attractive and extravagant look. 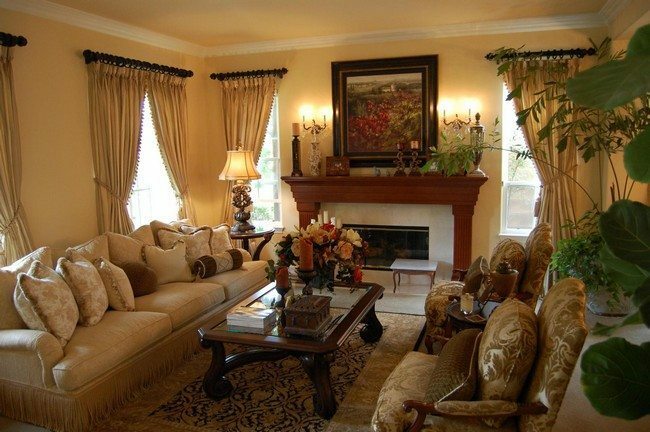 The gold-colored drapes and gold-colored chandelier create an expensive and high-end look in this living room. 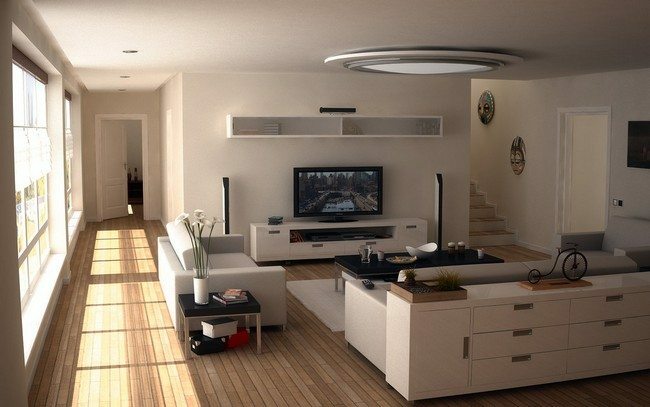 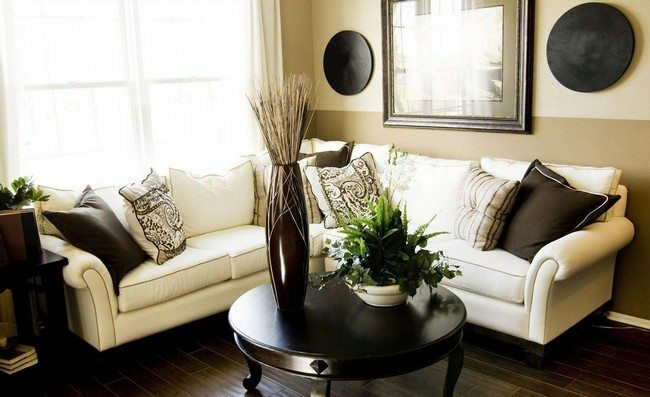 You can also opt for a black and white living room, which is one of the easiest to decorate. 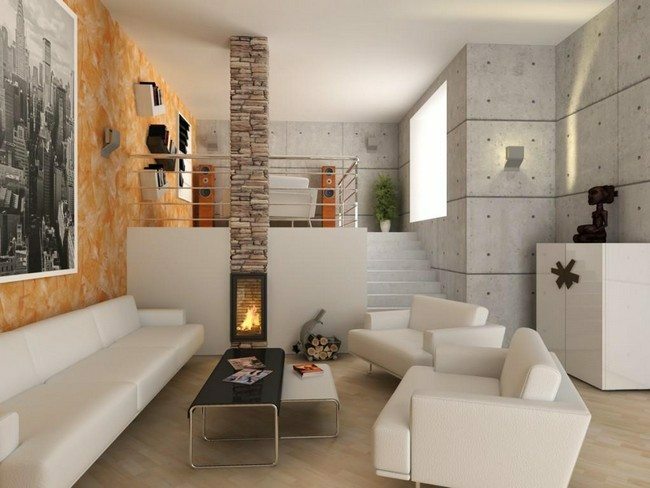 It involves sticking to a black and white color theme and using minimum color details. 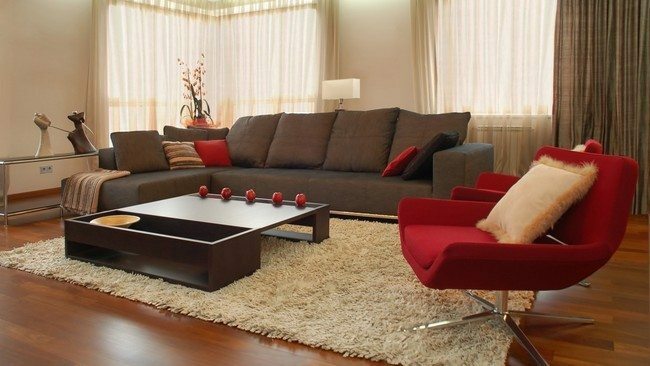 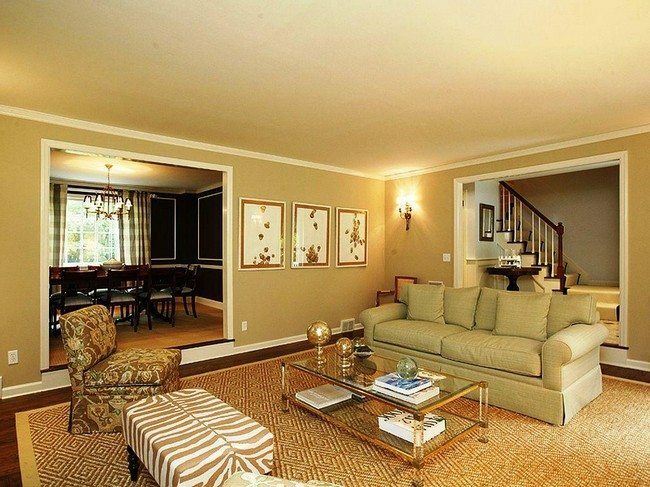 This living room employs dull brown throw pillows to break the monotony of black.